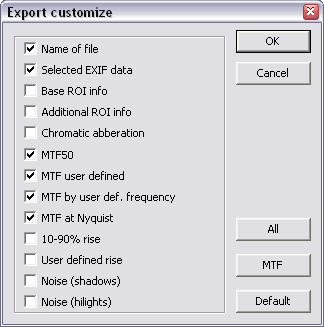 With Quick MTF you can export(see Table management) measurements into the Excel XML or HTML format. Excel and HTML tables saved by Quick MTF consist comprehensive information about image quality for all channels. Before export(see Toolbar), you can use this dialog to customize export.